Thistext is devoted to explain the profound meaning of the 22 cards ofthe major Arcana. 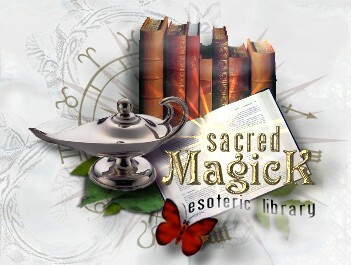 Selected contents: the veil and its symbols; thedoctrine behind the veil; the tarot and the secret tradition; theouter method of the oracles; distinction between the greater andlesser Arcana; the four suits of Tarot cards, including wands,cups, swords, and pentacles; the recurrence of cards in dealing,an ancient Celtic method of divination; the method of reading bymeans of thirty-five cards. Includes wonderful illustrations ofTarot cards. With this book, the student of Western Tantra may attain the knowledge and inner truth that has been hidden from us since conception. Within this new, expanded edition you will find a wealth of practical and passionate Tantric techniques utilizing the Archetypal images of the Tarot. Nothing is held back. Every method is explicit and clearly described. "Each of us has a Guardian Angel---a companion and lover who waits just behind the images that flood our minds during sleep or reverie. A protector and guide who disguises as the individual with whom we fall in love; an ideal lover who has adored us since the beginning of our individual existence and who will never abandon us until the instant we merge our being into Absolute Godhead." If you are fascinated by the magic of the Tarot and want a program that realistically re-creates the experience of a professional reading - this is it! 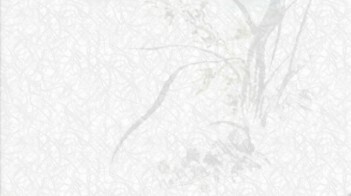 A unique onscreen tutorial, included with your professional Tarot program, will have you operating this software just like a professional in only minutes. (3) re-create past deals by placing the card of your choice in any position on the spread. In the spreads you deal, Add Astrological keys to give additional dimensions to your readings of each card. The Show Report window allows you to instantly scroll through the entire reading, with images included, before you print or export the report. "Web-Wise" entrepreneurs will love this feature - you can save your reports in .rtf or .html formats! Deliver your customer's reports via e-mail or to their chosen web browser. In .html format, the card images can be stored on a server, dramatically speeding delivery times by reducing the size of the file you are sending. 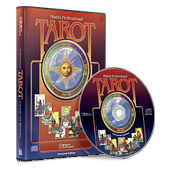 Personalize the look of your professional Tarot screen by choosing from over 60 graphic and photographic backgrounds, or, use the built-in color selector to create your favorite combinations. This is not another novelty Tarot deck. In fact, it recaptures the true magical tradition of the Tarot as few decks have ever done. This powerful and innovative new tarot is really two decks in one. It is the only deck of its kind to contain two separate and distinct tarot decks in one pack of cards, each with its own set of imagery, card interpretations, card spreads, and magical uses. The Golden Dawn Enochian Skrying Tarot is tailor-made for Enochian ritual work, Tattva skrying, and divination. 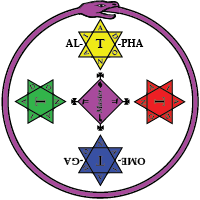 Each card contains the complete symbolism of the Enochian square that it represents, including the elemental, astrological, geomantic, alchemical, tarot, Egyptian god, archangelic, angelic, kerubic, and Hebrew letter correspondences. The companion guide included in this kit contains complete instructions for working with all aspects of this system, including divinatory card meanings and spreads, and complete instructions for Enochian magick, pyramid skrying, and Tattvic work. This deck does it all. This new and revised edition of The Shadow Tarot features both the Major and Minor Shadow Arcana. They have been especially created for the exploration of the dark side of the psyche. For anyone setting out to explore their Shadow this is a perfect gateway and detailed instruction manual. Each Major card is linked to a path on the Tree of Life which is fully examined. In addition to the exposition of the Major and Minor Shadow Arcana, it features full colour plates of the cards and extensive ideas for exploring the nightside of the Tree.